Handle:Elforyn( is a high-grade ivory substitute material that hasa high mineral content) And Water buffalo horn. Decorations:Full hand carved steel, 3D reliefs. The material of the knife is made by the sweedish Damasteel company to individual order for me.The thick is 14×35 mm It took around 400 hours to end this product.For the first steps (like miling, grinding) my friend Kertész Attila has helped. This work is totaly mine idea,uniqe and original. . 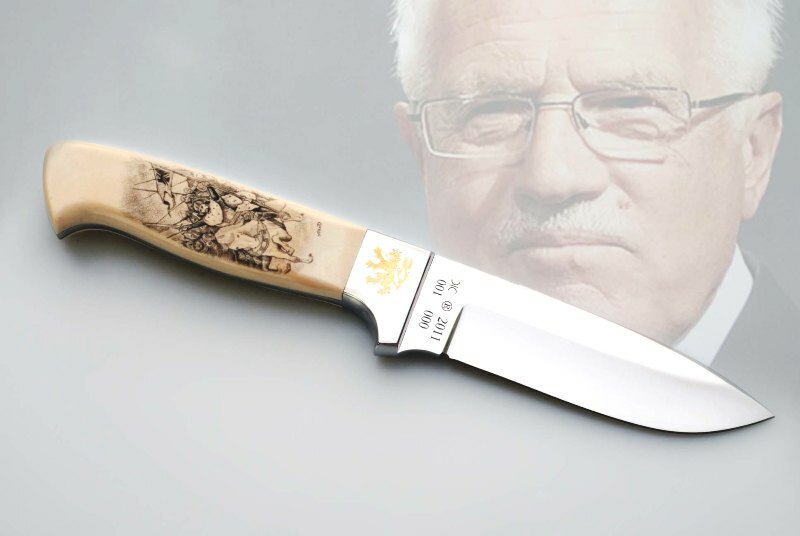 The material of the knife was forged by Filip Horvath, and it is damast sandwich. 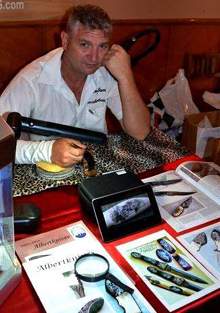 It is a cone knife. 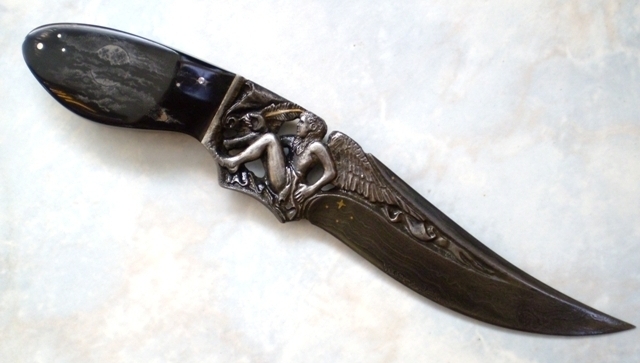 I carved an angel wriring on a parchment onto the blade, which is decorated with 14-carat gold. 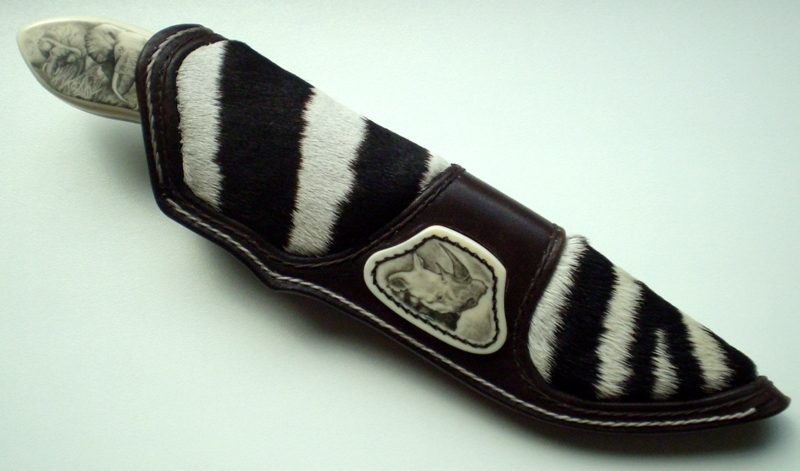 The handle was made of water-buffalo horn, wich is fixed by 6 silver pins and it is decorated with negative scrimshaw, showing the moon appearing from behind the clouds. 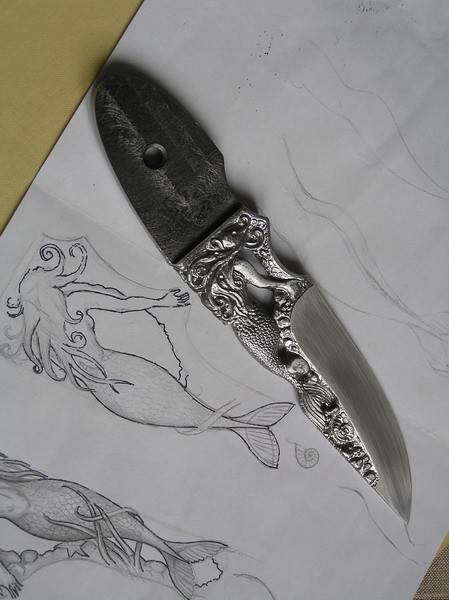 The knife has been named after its representation : THE FATE . The whole lenght of the knife is cca 225 mm, lenght of the handle :70 mm. 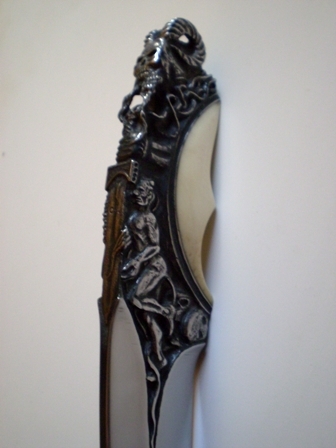 Accessories or decorations – Full carved steel ,scrimshawed handle, The materiall of the rack is wat.buffalo horn scrimshawed . On this project I worked more than 660 hours . 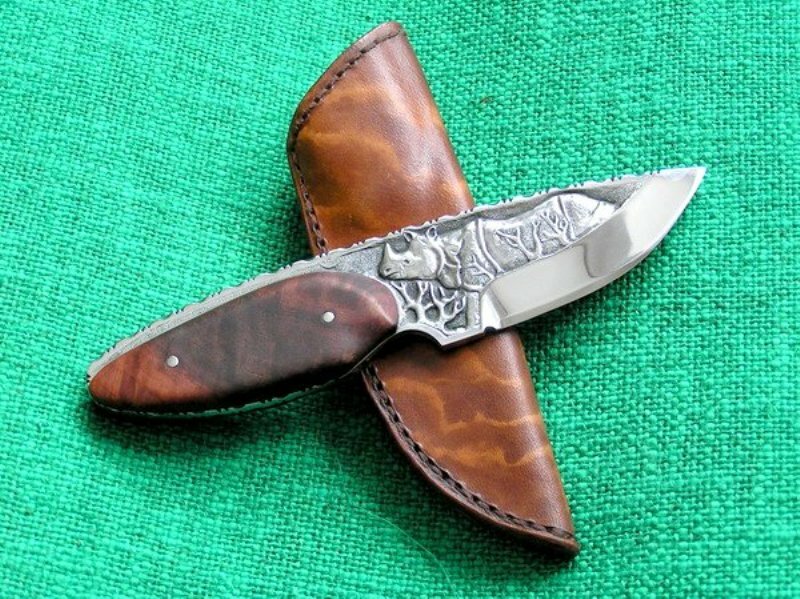 Type of knife -Cone integral /mini/ Art knife. Decorations – Full carved steel decorated 24 K gold . 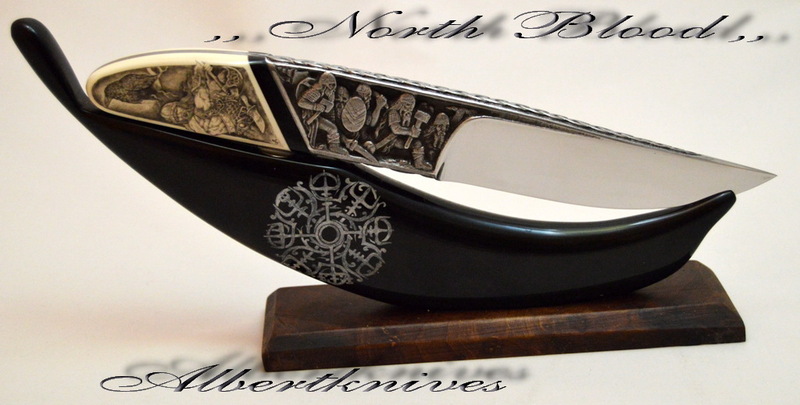 Decorations – The engravings are decorated with 24 carat golds,Both of the sides of the handle ,I decorated it with scrimshaw.